Hostels Barcelona - Dorms and private rooms in city centre. 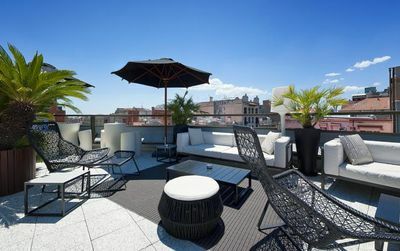 We help you find Best Hostels in Barcelona Spain with great amenities! Hello backpackers! You have chosen an excellent destination. Barcelona is one of the few cities in Spain that has so many cultural gems and entertainments. Are you seeking a youth hostel in Barcelona as accommodation? 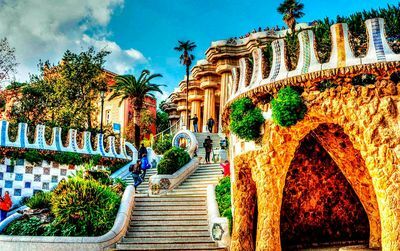 Barcelona is for curious travellers: it's great to find a hostel at the best price, it's even better in such an incredible city that you won't be able to go around all the attractions. From Gaudi's works such as the Sagrada Familia to the narrow streets of the Gothic Quarter... You are only at the beginning of the wonder! Barcelona is for young people, fun and relaxation: in your hostel you will never be alone... Kitchen area, common rooms: it's the beginning of days full of fun encounters: sea, beach, tapas bars and restaurants, cocktail bars, street food, night clubs, afters and some of the most famous festivals like Sonar and Primavera Sound... Partygoers from around the globe know why they come to the City of Marvels! What can we expect from best hostels in Barcelona? Barcelona hostels and hostals - What is the difference? What is the average price of a hostel in Barcelona? Hostels in Barcelona centre more expensive? Barcelona hostels near beach : a good option? 30 rooms and dormitories decorated with simplicity but a lot of taste. Small terraces for certain rooms, a lounge really sympathetic, free wifi for all. Bon Moustache Hostel is the bargain not to miss of the moment. Two steps away of the Plaça de Catalunya, you are next the main tourist places of Barcelona. Just book it! Opened in 2010, the Bed and Beach Barcelona Guesthouse is located on the Olympic port, 5 minutes walk to the beach. A guesthouse with 8 rooms and no shoes policy! ... the only way not to bring sand from the beach. Air conditioning, clean, warm owners...a perfect budget well located accommodation. A nice terrace (you can wear your shoes here) with views of the city, for relaxing after a day city visit. On the high part of Paseo de Gracia, just close to Diagonal, Casa Gracia Barcelona Hostel is located on a modernist building typical of Barcelona. Near all major Gaudi buildings, shopping, Las Ramblas and metro station. Do not forget to spend an evening on the Casa Gracias terrace...a way to relax from your city visit like at home. Good location, cheap price, nice rooms! All white and decorated with real taste Hostal Nitzs Bcn is one of our favourite guest house in Barcelona. 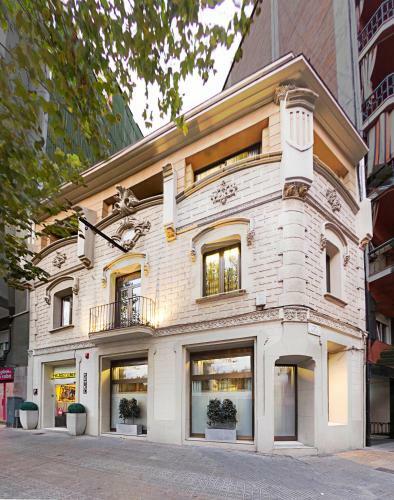 Perfectly located in the Gothic quarter you will enjoy discovering the city just by walking. To help you the very friendly reception is open 24 hours a day. Useful services like free access to a kitchen and dining room, microwave, fridge and Nespresso machine. Perfect! 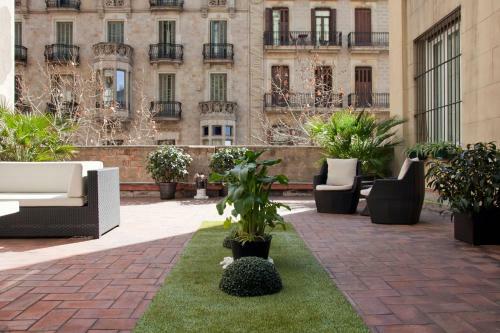 Close to Sagrada Familia, Hostemplo offers rooms and apartments for you Barcelona city break. A modern hostel with new furniture and bathrooms, with friendly staff that will help you in anyway they can. 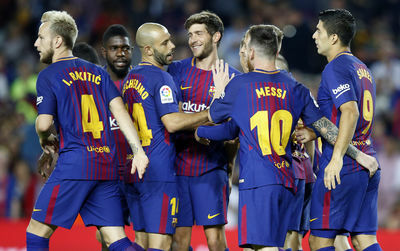 You can expect from best hostels in Barcelona many great amenities such as: free breakfast, cooking lessons, evening bar, cocktail party, free city tours, bike rental, access to a gym and swimming pool, sunny terraces and facilities like free wifi and free luggage storage. Private room, private bathroom and solo travellers are not forgotten. In few hostels no credit card is needed to book which could be helpful. Finally, whatever your choice, know that you can find youth hostels categorized such as: party hostels, design hostels, boutique hostels, bed and breakfast, guest house..
Let's start with the youth hostels also called Hostels. A hostel in Barcelona offers rooms that are not private, but rather beds in dormitories or collective rooms. Some hostels offer private rooms but this is not the common rule. Youth hostels in Barcelona are very friendly and lively. Meeting places that are increasingly in the spirit of the times and tastefully decorated. An excellent solution for stays at affordable costs, especially for young travelers. We must not confuse Barcelona hostel and hostal. 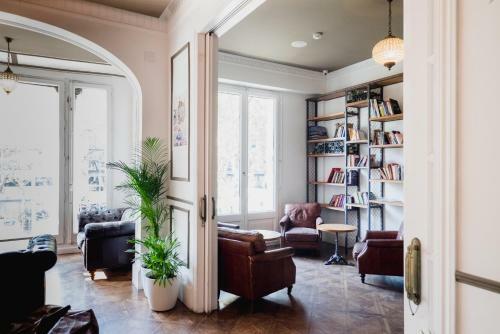 A hostal in Barcelona is an establishment offering the same services as a hotel without being called one. From a lower category it offers rooms smaller than one-star rooms, each room is private and the cleaning service is also provided on a daily basis. It is usually a good deal, its prices being very competitive. Finally the hotels, which have no secrets for you, are in compliance with European standards depending on the size of the rooms and their category of services. They are rated from 1 to 5 stars. You can find our selection of hotels in Barcelona centre . Save on accommodation to enjoy the fun of the city. Youth hostels are the most economical way to stay in Barcelona. A good hostel will provide you with all the amenities you could wish for, such as a beautiful sunny terrace, a common kitchen, free wifi networks at very competitive prices. 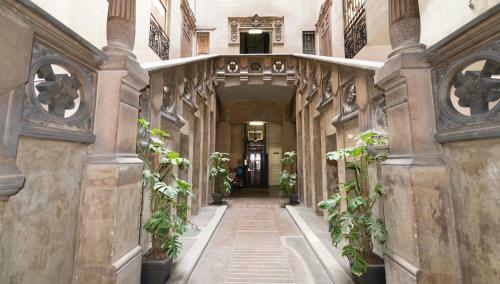 Expect between 25 and 35€ per night per person in July in a youth hostel Barcelona in the city's historic districts. A hostel prices Barcelona that drops to around 15 euros in November for example during the month of November. In a historic building from the nineteenth century, the Hostal Girona is a guest house which seems to have kept a stamp a little outdated. This is a style since decoration is actually very recent, colorful and warm. We feel at ease. Air-conditioned rooms with TV and free wifi. And for all: a fitness room. The perfect low-cost downtown. Within walking distance to major Barcelona attractions, Fashion house Barcelona is a tidy and clean hostel that we recommend for you Barcelona city visit. Nice rooms with bathrooms or shared bathroom rooms are kept clean. Helpful staff will advice on metro, restaurants or visits. 9 rooms on the first floor in a building in the center of Barcelona. Hostal Boutique Khronos is a guest house that surprises all points of views: elegant decor, spacious rooms with en suite bathrooms, air conditioning, flat screen .. The little extra touch is a roof terrace and a fitness room. Do not worry the wifi is free in public areas. An excellent choice but book well in advance. 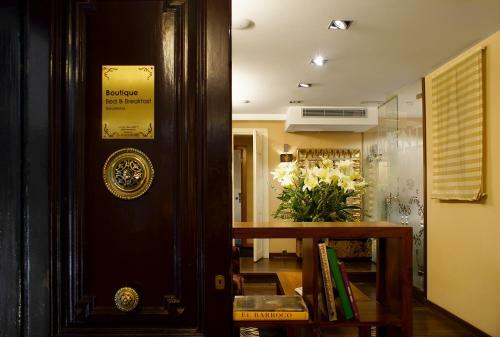 The Boutique Barcelona Bed and Breakfast is a centrally located 2 star bed and breakfast, on a modernist building. Helpful and friendly staff, will help you on any direction you need. Simple but complete breakfast. Sometimes you do not need to go to a 3 or 4 stars hotel for a city break. Great B&B in a great location. A beautiful mix of genres in the city center. 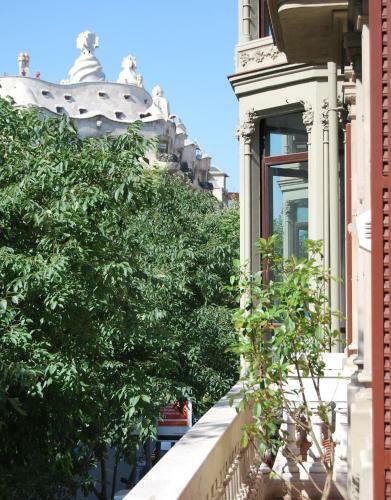 In the stylish area of Barcelona, ​​a hundred meters from the Pedrera - seen from the rooms - Circa 1905 is a small charming hotel. 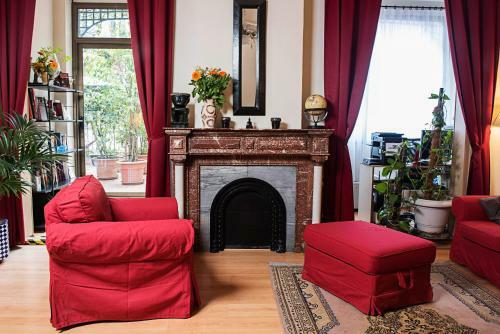 9 rooms decorated in an Art Nouveau building with some sumptuous details like fireplaces, tiled with beautiful vintage geometric figures. Time seems to stand still despite a totally modern atmosphere. A beautiful mix of genres in the city center. 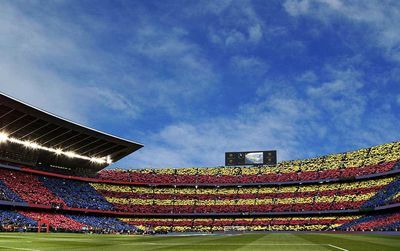 For cheap hostels in Barcelona try to make your booking as far in advance as possible. Don't be afraid to be a little far from the centre, Barcelona is very well served by public transport and metro. Some hostels rent or lend bicycles, it is the ideal solution to get around town. A hostel near the beach in Barcelona is obviously a fabulous option for your holiday accommodation. You can enjoy the sea and the famous chiringuitos (beach bars) during the day and the city in the evening. Our advice is to choose your hostel in the Barceloneta beach area, the closest to the city centre by walking. Christmas is a good period for hostels in Barcelona. You'll find good deals for sure. We have seen hostels offering 20€/night for 2. depanding how long you will stay. We are coming for Christmas 2018 any good deal? Don Moustache Boutique Hostel is just perfectly located to me. Great team (kiss kiss ) and airport shuttle very helpful.